Notice: purchase methods are listed in the end of this article. Preface: In the past, among the world of the phonograph, no sound, no matter how beautiful the voice will be that you will not hear. Nowadays, on the hustle and bustle of Open Source stage, no screen, no matter how wonderful the show will be that you can not see. 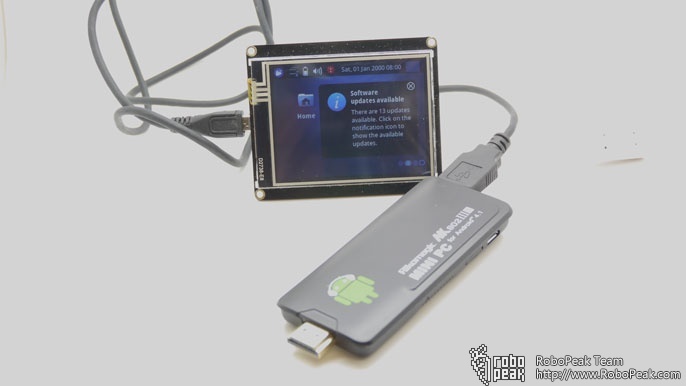 Now, as an important tool of the Open Source Hardware, RoboPeak Mini USB Display (aka RPUSBDisp) debuts for everybody on the grand stage. In order to allow the device having same portability and saving power, RoboPeak is proud to release RPUSBDisp, the portable USB monitor with touch screen. It is designed specifically for MiniPC with same size of business card, and just requires a USB cable to make it work without additional power supply. 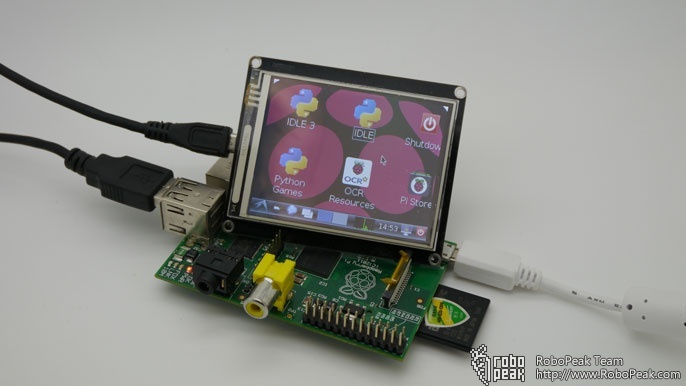 You could leverage it as a display to present most of embedded development board on the current market (such as RaspberryPi, Cubieboard, etc.). Benefit from USB interface that provides opportunity for those devices that cannot connect with monitor for display in the past like Router. In addition, we support Arduino Yun and Intel Galileo Developer Edition! 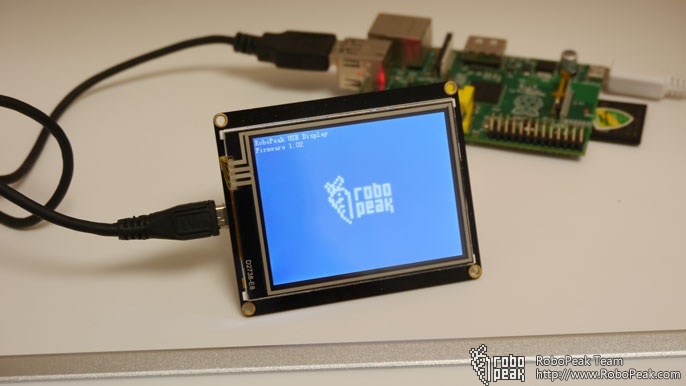 With the drivers developed by RoboPeak, RPUSBDisp can be identified as a standard display and touch-screen device by target operating system, that means any existing graphical interface program can be displayed without any modification. As an open source project, we provide its schematics, communication protocols, Linux kernel driver code and so on. That helps you create more creation easily based on RPUSBDisp. Then, let’s screen a video to show you how to use RPUSBDisp. Please download the document Datasheet for more specific product parameters. 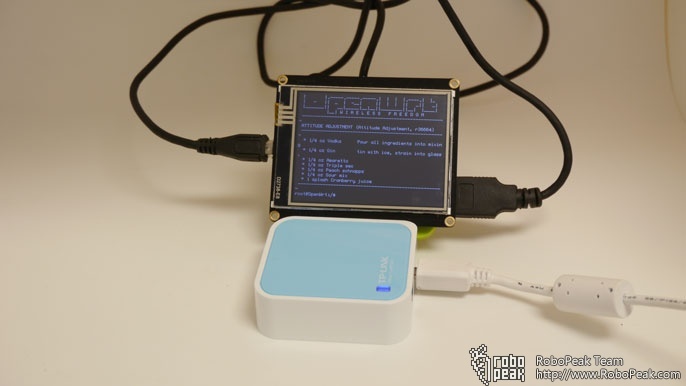 RPUSBDisp can support any computing devices having USB Host communication functionality to act as a standard display or touch screen devices. You only need to add the corresponding driver. For the majority of embedded devices installing Linux OS, we offer open source kernel driver. For your convenience, we offer some precompiled ROM image on common development platform, such as the popular raspberry-pi, cubieboard etc. You just simply need to download those image files and burn them into your development board to enable RPUSBDisp. Currently we offer the following platforms ROM images downloaded and will be constantly increasing then, please take the section Firmware Download at the tail of this article to get the ROM image downloading address according to your requirement. Please download the document User Manual for specific Usage. As a newly launched product, the core driver of RPUSBDisp has not yet become part of the firmware produced by MiniPC manufactures by default. So, to make RPUSBDisp to work, you need to install RPUSBDisp drivers. For common MiniPC, you simply download and flash the ROM image which included USB display driver provided by us. We provide most of MiniPC SD-card ROM image, you can use some mirror writing tools (windows: Win32DiskImager, Linux / Mac: dd) to flash the image into SD card. For those built-in Nand Flash devices (e.g. 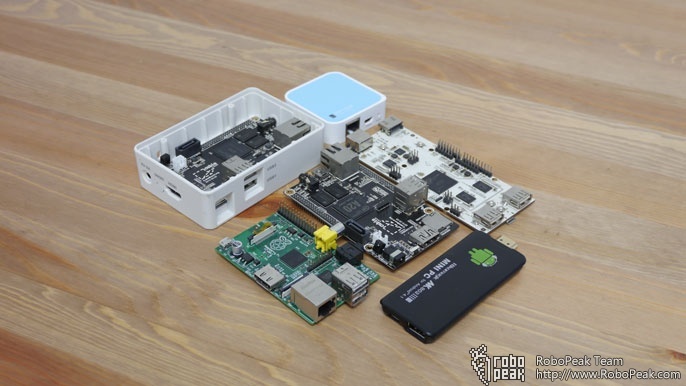 Cubieboard, most MiniPC TV stick), we offer some packaged nand flash ROM images, using corresponding download tools will flash the ROM image to be stationed into your development edition permanently. For specific operation details, please take the User Manual as reference. For those devices we have not yet provided ROM image supported, do not worry, we provide RPUSBDisp Linux kernel driver code. You can follow the bellow documentation or the steps in the README of source code to compile the code into driver to drive RPUSBDisp run on your device. For those customer that our driver cannot meet your requirement, you can also customize more powerful driver according to published USB communication protocol specification from us. If no additional explanation, all the source code abides by GPL v2, or the license in the code. Any copyright of the document and source code listed above is belong to RoboPeak. If you find any bug or have any suggestions, please leave comments here or contact with us by email (support@robopeak.com) . Attention: RoboPeak will not undertake any relative legal obligations and liabilities of any possible loss caused by misuse of open source code. Currently, DFRobot is our designated agent to sell RPUSBDisp, warm welcome to access the following address for purchase.